Finance supremo Angus Macmillan Douglas put the local authority’s spending paper before a special meeting of Angus Council in Forfar on Thursday. 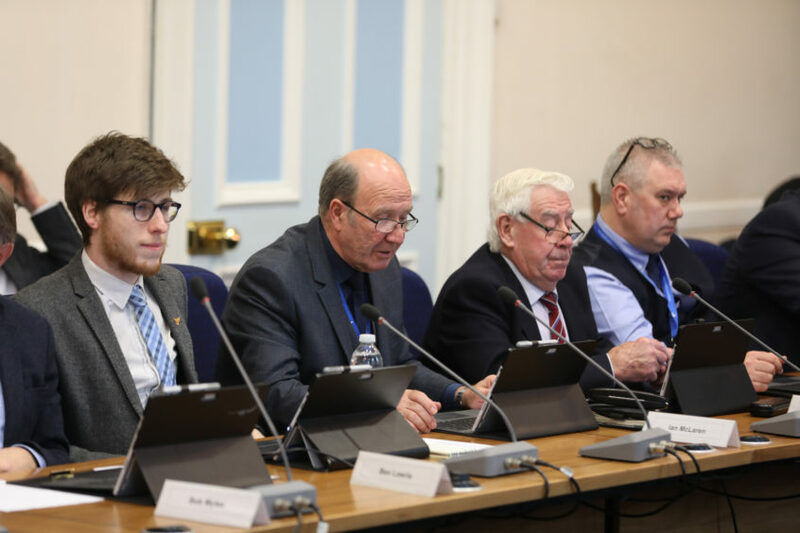 Independent councillors Brian Boyd and David Cheape then put forward an alternative budget which would have forced a U-turn on skip site changes in Carnoustie/Monifieth including the creation of a new £2.4m state-of-the-art shared dump. Not to be outdone, the opposition SNP group then joined the party and put forward their own alternative statement which included allocating £500,000 to deal with Brexit issues if the UK leaves the EU. SNP leader Lynne Devine said it was “utterly reckless” not to plan for Brexit. The Nats spending review also opposed changes to the teacher workforce which she said was “a step too far for some of the most vulnerable children in Angus”. A £50,000 feasibility study to look at providing a new Carnoustie/Monifieth recycling centre was also included in the SNP alternative budget which was described by Angus Council leader David Fairweather as “simply not prudent”. He highlighted the fact that it included no plans to scrap parking charges despite what he described as “all the song and dance” from the opposition since the controversial fees were put in place in November. 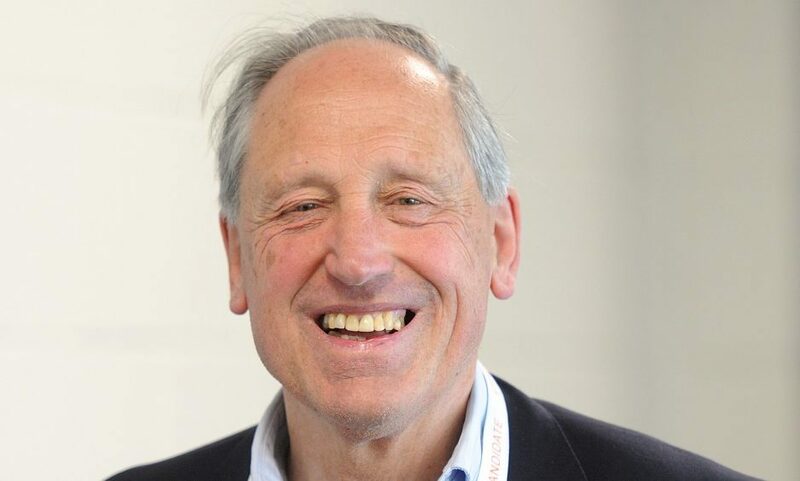 The Tory/Independent/Lib Dem administration’s budget was eventually voted through following a three-hour meeting and Mr Macmillan Douglas said the 3% council tax rise would cause “the least disruption or hardship possible”. He said: “To increase council tax by more than 3% would just be carrying out the Scottish Government’s tax increases for them. “We have no intention of doing this. The 3% increase equates to a £34.12 rise for Band D, roughly £2.84 per month, which will generate an additional £1.58m in 2019/20. 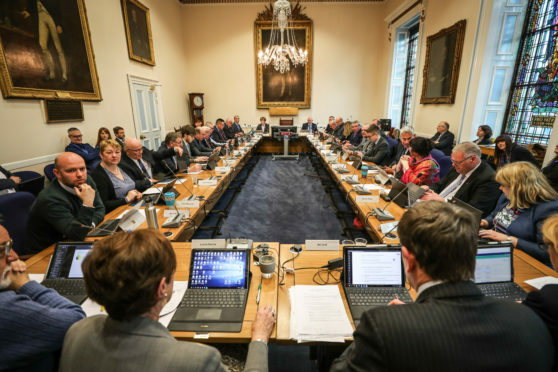 Savings to fill the £15.4m black hole include £10.22m for 2019-20 through change programme activity including the council’s headcount which will continue to reduce. “We will be a smaller, highly-prioritised Angus Council – a council that is run in the most effective way possible,” said Mr Macmillan Douglas. A review and redesign of the visiting teacher service is being implemented with plans in development for the alternative delivery of a reduced specialist teaching resource. Angus Council has faced challenges in ensuring adequate teacher recruitment and local initiatives are ongoing to enhance teacher recruitment including the “grow our own” approach of retraining council staff and local residents. Ms Devine said the SNP were not happy with the reduction of 17 primary teachers over the next few years, but reluctantly agreed to it as there was little wriggle room in the children and learning budget. “However, a red line for us has to be the reduction of 8.5 teachers in the most deprived area schools where the demands are highest,” she said. The savings package to fill the £15.4m black hole includes changes to care and support fees for elderly residents. For community alarm users, the charge will increase from £4.75 per week, to £4.90 per week, an increase of 3.1%. The cost of a community or day care lunchtime meal increase from £3.45 per day, to £3.55 per day, which represents an increase of 2.9%. For those in council run residential care, such as Seaton Grove in Arbroath, fees will see a 4% increase, rising from £596 per week, to £620 per week. 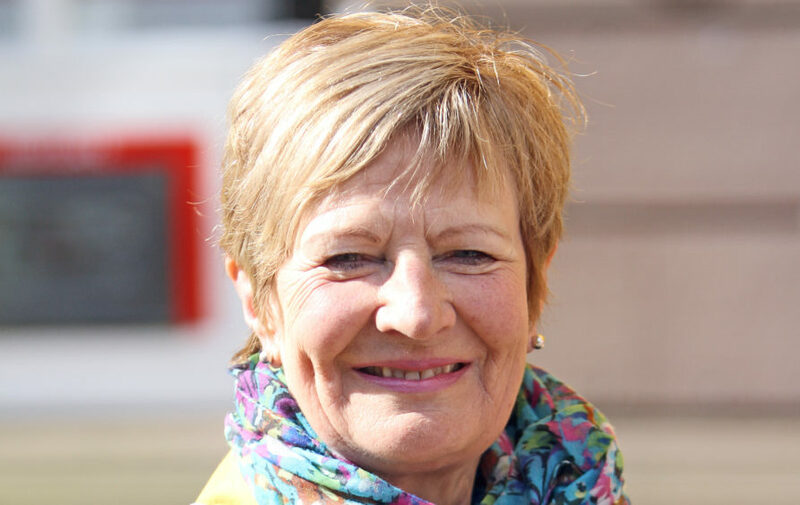 Kirriemuir SNP councillor Julie Bell said: “The trend in falls for older people is worrying in Angus. “Avoiding a 15p a week rise may mean the difference between a well older person and a frail, vulnerable person with intensive needs and related higher costs of care. “This is potentially an area which saves public money and prevents significant harm to people. “This is about more than saving money. “Please remember the knock-on effect of seemingly minor increases in charges in one area may have massive implications in other parts of public services. Spending for the year ahead in Angus includes investment priorities aimed at reducing costs and raising revenue. These include £649,500 to support vulnerable families through the extension of the Glen Isla Project; £50,000 on artificial intelligence to assist online transactions; and £100,000 in increasing modern foundation/graduate apprenticeships. There will also be £750,000 additional funding to improve road surfaces; £180,000 to help maximise Tay Cities Deal opportunities for Angus; and £80,000 in holiday meals for school age children. Ms Bell said: “That we have something called ‘holiday hunger’ in the 21st century beggars belief. “I won’t go into the reasons why it exists here – we all know that. “We need to eradicate child poverty, not merely alleviate it. “In the meantime, we feed our children even in the holidays because it’s the right thing to do.